^ Contract Notice View – CN352591. AusTender. Australian Government. December 14, 2010 [2011-01-30]. ^ Juchniewicz, Nathan. New weapon to go the distance. Army News (Australia). July 21, 2011 [4 August 2011]. ^ DefesaNet - Armas - PF - 200 novos fuzis de assalto HK 417 são distribuídos.. DefesaNet. [15 November 2014]. ^ HK 417- fusil d'assaut de la firme Heckler & Koch. French Land Army official website. [2013-07-17] （法语）. ^ Entscheidung zur Zwischenlösung G36. 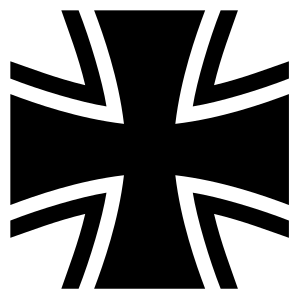 Bundeswehr. 27 August 2015 [5 June 2016] （德语）. ^ G28 Marksman rifle Heckler & Koch. armyrecognition.com. September 2011 [2012-01-08]. ^ Writer, Staff. GSG-9 German Special Police Weapons. Military Factory. 2016-02-18 [2016-02-20]. ^ Thompson, Leroy. Ireland's Army Rangers (page 1). Tactical-Life. 1 March 2013 [19 November 2016]. ^ Abas, Marhalim. DSA 2010 Part III. Malaysian Defence. 2010-04-23 [2011-08-01]. ^ SF Operator is a special profession. Dutch Defence Press. June 6, 2009 [2011-01-30] （荷兰语）. ^ KCT sniper teams are using the Heckler & Koch 417. Dutch Defence Press. 20 April 2011 [2011-06-13] （荷兰语）. ^ Kapten Trond Setså. Sniper Course. Defense Net. Norwegian Defense. [2011-01-30]. （原始内容存档于2009-02-02） （挪威语）. ^ Police Headquarters Official Gazette No. 13 (pdf). September 25, 2009 [2011-01-30] （波兰语）. ^ Writer, Staff. Russian SPETSNAZ Weapons. Military Factory. 2016-02-20 [2016-02-20]. ^ Harding, Thomas. SAS parachuted in to Baghdad. The Telegraph. June 26, 2009 [2011-01-30]. ^ Middleton, Ashley. Firearms unit | Flickr - Photo Sharing!. Flickr.com. 2012-10-27 [2015-04-30]. ^ All sizes | Throckmorton | Flickr - Photo Sharing!. Flickr.com. [2015-04-30].